(Optional) Choose IP addresses for the TCP routers and configure your load balancer to forward requests for the domain you chose in the step above to these addresses. Skip this step if you have configured DNS to resolve the TCP domain name to an instance of the TCP Router. Review the Enable TCP Routing steps in the Configuring PAS topic to configure your IP addresses for your PCF deployment. 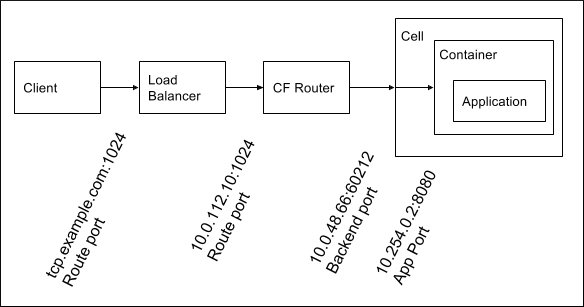 Review the “Enable TCP Routing” steps in the Configuring PAS topic for your IaaS to configure your ports for your PCF deployment.